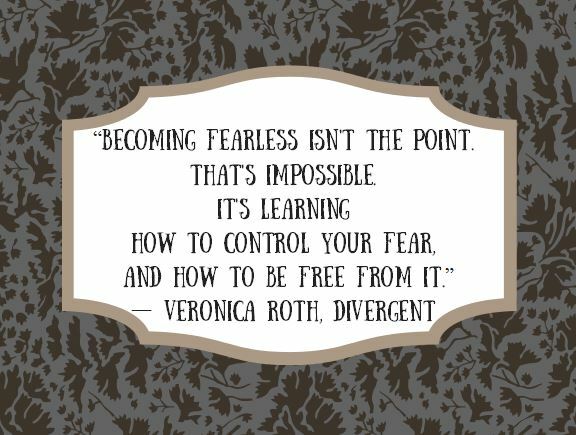 “Becoming fearless isn’t the point. Have you read the book or seen the movie? I had never heard of it until my sister-in-law told me that she and her daughter had watched it after reading the book. So, when it came on TV one night, I popped some popcorn and snuggled on the couch to watch. I am so glad that I did. I will not give away the story, but I will tell you that the lessons learned in the movie about fear are amazing, thought-provoking and interesting. The belief that we are suited to a type of work, pigeon-holing ourselves by one major human virtue is a challenge for those who fit into more than one and therefore are called divergent. Divergents are believed to be dangerous by the simple fact that they have more than one equally prominent virtue. So which one of the virtues above would you pick if you had to be only one? Or would you be considered divergent? Have you ever felt out of place and divergent? What did you do? How did/do you handle it? Please share below as I would love to hear your story.